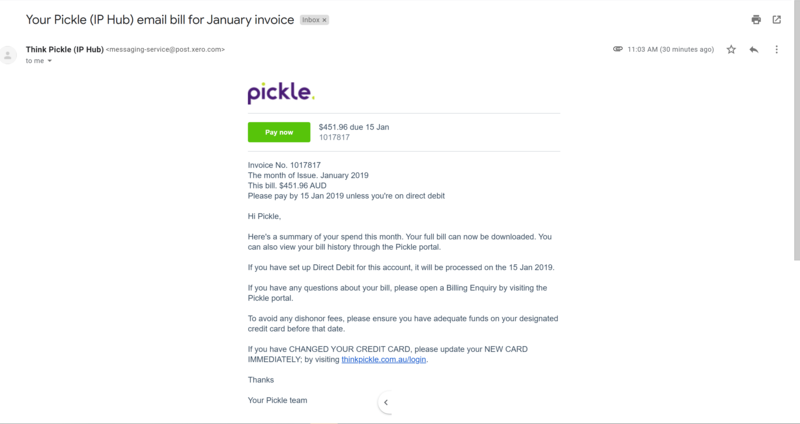 Each month we email your bill to you rather than receiving a paper copy. You can download any of your bill through My Pickle. 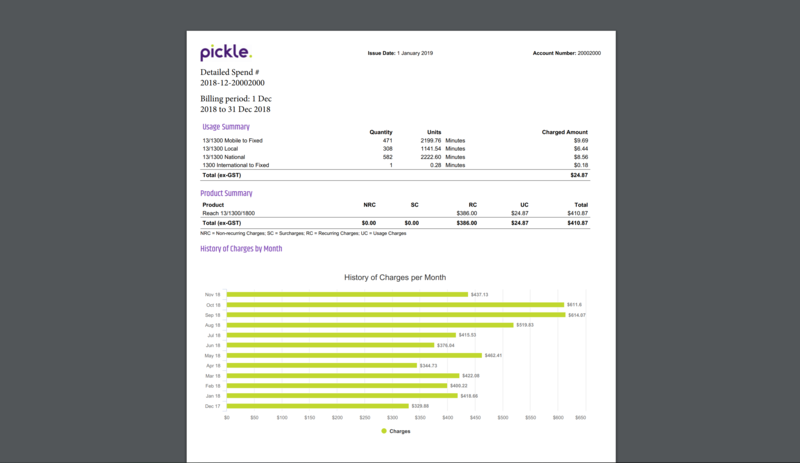 Shows new charges with the date your current bill is due less any payments you've made to your account. Please ensure you pay by the due date to avoid being charged a late payment fee. Your account number, invoice number and the date your bill was issued. Each bill has a unique invoice number. You may need to quote this number if you call customer care with a billing question. Pay your bill online. Surcharge fees apply for credit and debit cards, and these will appear on your next bill. The first page of your paper bill gives information about your account, how much is due, when and how to pay. Your account number, invoice number, billing period and the date your bill was issued. Each bill has a unique invoice number. You may need to quote this number if you call customer care with a billing question. A summary of your bill including a total for each charge type on the account and the grand total. Overdue amounts from previous bills are not shown here. This is the payment due date. If you pay by direct debit, the date for the payment processing is the 15th of every month. The payment options. You can set up direct debit, pay via credit card or EFT transfer. Some payment options such as credit or debit cards incur processing fees. A detailed summary of your usage and a product spend summary including a total for each service on the account. This graph lets you compare your spend over the last twelve months. The total for each service on the account. The primary plan for the service and a summary of the usage for the month. Any charges in addition to your plan including any usage over the plan inclusions, and any license amounts. 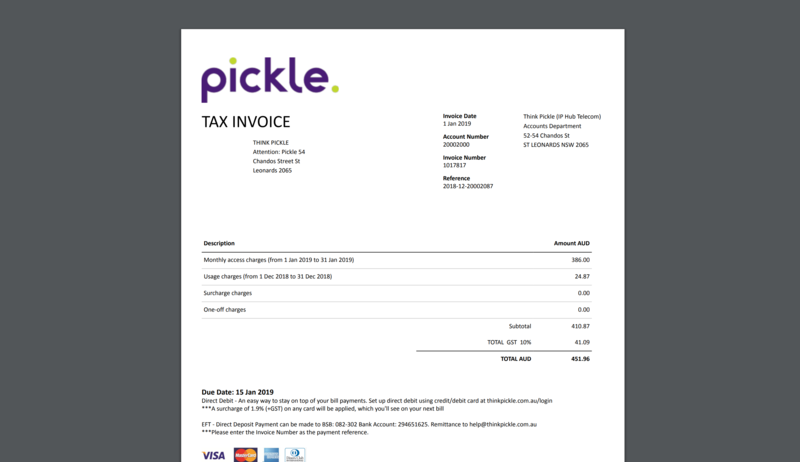 This is the type of invoice that has been provided. There are two formats. The Summary Bill shows only the items you have been charged for and the Detailed Spend shows all usage including items you have not been charged for.